Blue Ridge. Announcing an exciting public art project celebrating the beauty of the trout. Highlighting what Blue Ridge does best, the Blue Ridge Mountains Arts Association and the Blue Ridge Mountain Chapter of Trout Unlimited have partnered to host a county-wide public art event. We call this incredible project Trout Art Trail. 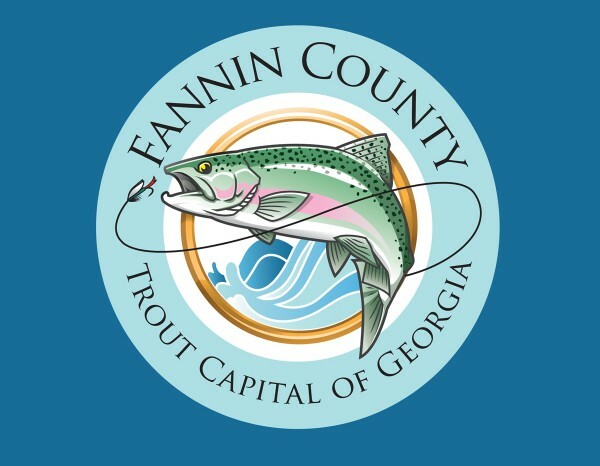 The Trout Art Trail Project will offer a limited edition series of five-foot fiberglass trout sculptures spread throughout Fannin county. For info visit www.blueridgearts.net or BlueRidgeArts@gmail.com or call 706-632-2144. Writer’s Conference. Blue Ridge Mountains Arts Association, 420 Main Street, Blue Ridge, GA. For info visit www.blueridgearts.net or BlueRidgeArts@gmail.com or call 706-632-2144. Blue Ridge Mountains Arts Center. Opening reception April 7th – 5:00 – 7:00 pm. This exhibit will hang from April 7 – May 7th. Blue Ridge Mountains Arts Association, 420 Main Street, Blue Ridge, GA. For info visit www.blueridgearts.net or BlueRidgeArts@gmail.com or call 706-632-2144. Blue Ridge Mountains Arts Association, 420 Main Street, Blue Ridge, GA. For info visit www.blueridgearts.net or BlueRidgeArts@gmail.com or call 706-632-2144. Ellijay, GA. Gilmer Arts B.E.S.T. Visual Arts Series (Bringing Ellijay Sensational Talent) announces its 6th exhibition in the series with the opening of “Where The Heart Is” featuring the paintings of award-winning artist, Camille (Candy) Day. Opening reception 4 – 7pm. Show runs thru 5/18. Gilmer Arts Gallery, 207 Dalton Street, Ellijay, GA 30540. Visit www.gilmerarts.org or 706-635-5605. Celebration of Artisans: SAAG Spring Member Show. Blue Ridge Mountains Arts Association, 420 Main Street, Blue Ridge, GA. Visit www.blueridgearts.net or call 706-632-2144. Historic Downtown Blue Ridge. 10am – 5pm both days. Blue Ridge Mountains Arts Association, 420 Main Street, Blue Ridge, GA. Visit www.blueridgearts.net or call 706-632-2144. Blue Ridge. Come enjoy the races at the Blue Ridge Motorsports Park! Gates Open: 2pm Hot Laps: 4pm Racing Starts: 5pm Blue Ridge Motorsports Park 2252 Sugar Creek Rd, Blue Ridge, GA 30513 (706) 237-3625 www.blueridgemotorsportspark.com. Downtown Blue Ridge. Come out and play at this old fashioned Block Party held the 2nd Sat. each month. Our stores will have special sales, offer refreshments and some will have additional entertainment inside their stores! Live music and more! 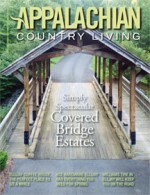 Visit http://bestofblueridge.biz/ or 706-258-2432. Free event open to all U.S. military veterans. 9 am – Noon. Bring your own fishing gear and bait. Free lunch. Location: Chattahoochee Forest National Fish Hatchery located on Rock Creek Road of GA Hwy 60 near Suches, GA. Please call the hatchery at 706-838-4723. Blairsville. The mountains of North Georgia offer a world class cycling destination and our bicycling event encompasses several of the area’s climbs, known famously as “Six Gap.” The event is a challenging bicycle ride that takes in Hogpen, Unicoi, and Jack’s Gap with over 7,000′ of elevation gain. 8:00am. Start & Finish: Haralson Memorial Civic Center, 165 Wellborn St., Blairsville, GA 30512. Info: Blairsville Bikes & Hikes, 49 Blue Ridge Street, Blairsville Ga. 30512. Call 706 745 8141. Kentucky Derby Party Benefit for S.A.F.E. silent auction. 4:30 – 7PM. $40pp/$70 couple. Call 706-379-1901to purchase your tickets. Ellijay, GA. Roger and Ann Futch, owners of R & A Orchards, will weave the tale about the Gilmer County apple industry and their family involvement since Miss Ann’s father came home from the WWII. Free! Everyone is welcome. Coffee and snacks will be served at 1:30; meeting 2-3. Gilmer County Library, 268 Calvin Jackson Drive, Ellijay. Mineral Bluff. A 5 mile round trip by railroad motor car traveling through the Iron Bridge over the beautiful Toccoa River, then returning over the bridge back to the beautiful and historic Mineral Bluff Depot. Motor Car Rides: Suggested Donation $10.00 for Adults, $5.00 for Children 2-12. Hand Pump Car Rides, $1.00 per person per round trip. A fun day for all! Visit the depot and see the progress being made on our large “HO” gauge model railroad based on the “Old Line” from Atlanta to Etowah, TN and through Mineral Bluff to Murphy, NC! Saturday 10:00 a.m. to 4:00 p.m. Sunday, 10:00 a.m. to 4:00 p.m.
Great music, craft beer and a good time. 6pm – 8pm. Andrews Brewing Company, 14 Miles for Harrah’s Casino, 565 Aquone Road, Andrews, NC 28901. Ellijay. An extraordinary evening taking you back to the golden age of classic music with the Rat Pack. Presenting Gabe Russo, Winner of the Frank Sinatra Idol Competition on the 100th anniversary of Sinatra’s birth and James Noe, formerly of the Atlanta Opera singing Dean Martin, bringing back the ambiance of beautiful music in elegant surroundings, where the music was smooth, the men cool and the nights seemed to stretch on forever! 7 – 10pm. Tickets $30/$25. Hawthorne Hall, 207 Dalton Street , Ellijay, GA 30540. Visit www.gilmerarts.org or 706-635605. Ellijay. Grammy award winner John Jorgenson’s Bluegrass Band. It will be loaded with the best pickers and song writers, full of spring time bluegrass energy. This will be a fine night of foot stompin’ hand clappin’ great music. Ellijay Elementary School Auditorium, 32 McCutchen St., Ellijay, GA 30540. Visit www.gilmerarts.org or 706-635605. Located near Ellijay, Georgia in the foothills of the Appalachian Mountains, focuses on growing outstanding grapes to produce the highest quality of wines. And honoring the original residents of Engelheim, the Cherokee Nation. Tasting Room Hours: Thursday – Monday 12:30 to 6:00 P.M. Engelheim Vineyards 127 Lakeview Road, Ellijay, GA 30540. Call 706-635-WINE (9463) or visit www.engelheim.com. Winegrowers Association of Georgia’s Annual Wine Highway Week beginning Saturday March 24th and runs every day through Sunday April 2nd, 2017. This is a great way to see and experience the views and wonderful wines of Northeast Georgia. $40 – Wine Highway Week collectors’ glass and a Passport which for admission to ALL participating wineries. Visit www.georgiawine.com or 706-878-9463.